As I saw this in my email inbox advertising the new MAC christmas products I had to buy it as soon as it was released. I am forever losing my eyebrow combs and tweezers and considering the price is slashed for Christmas if you purchase in a kit. 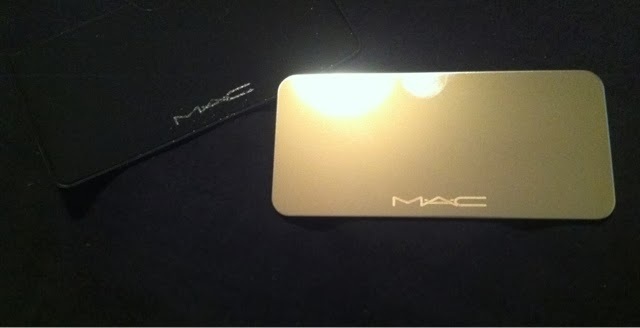 So today I went into the MAC Flagship store in Cardiff to pick it up. The set includes a carry case to protect the grooming tools, an emery board, tweezers, eyebrow comb and a little mirror. 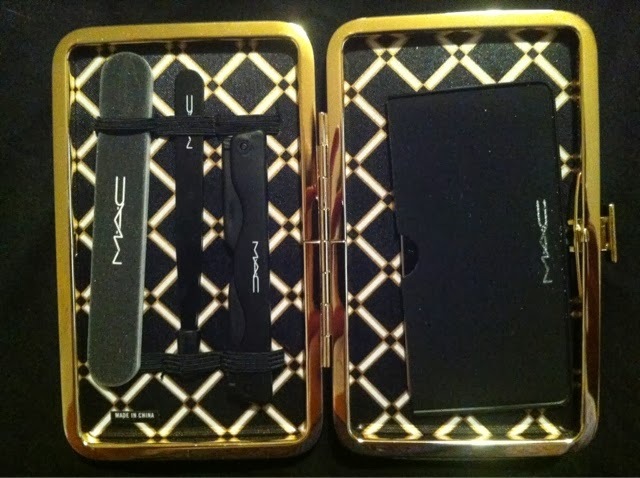 This is the MAC Divine Night Grooming Kit. It retails at £35, and is available online or in store at a MAC counter. Now I'm not a massive fan of MAC as their base and face products don't settle well with my skin but I do like their Viva Glam lipsticks as well as standard line lipsticks and eye shadows. That's pretty much it. 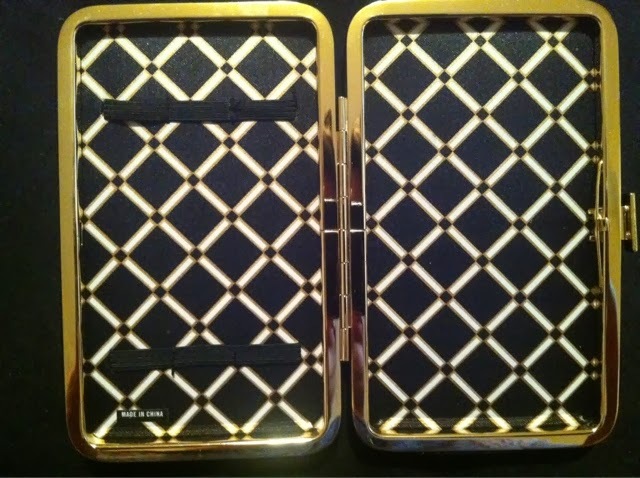 I loved the retro style look of these cases and holders so I was slightly impressed with the presentation. And when I opened the box to this I was shocked. 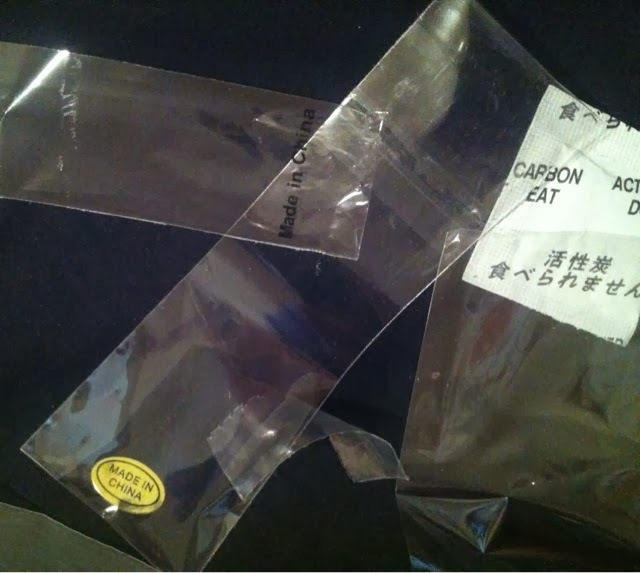 It not only felt cheap but the products were plastered in Made In China stickers and the print came off the mirrors pouch as soon as I took it from the plastic wrap! All the items were individually wrapped in cheap plastic inside the box. I did look at these products in store before purchasing and they looked great and sturdy, however you can't hold them as they're enclosed in a frame. I was most disappointed with the print coming off the mirror case. This is down to the fact it's in a nylon holder and the paint obviously didnt adhere properly to the fabric. 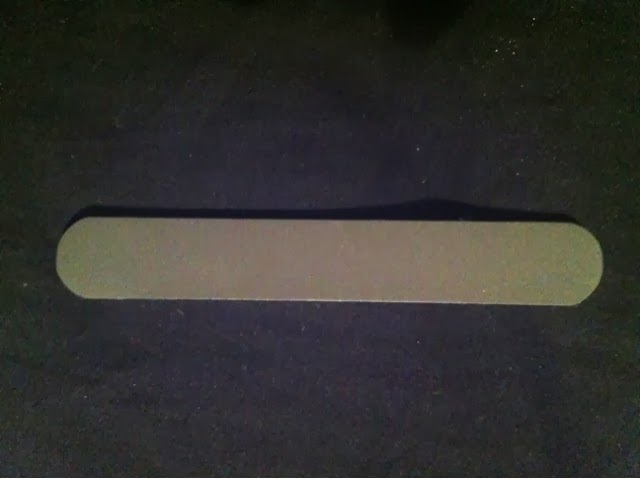 The emery board is a bog standard 3 or 4 use nail file with only one side able to be used as a file. 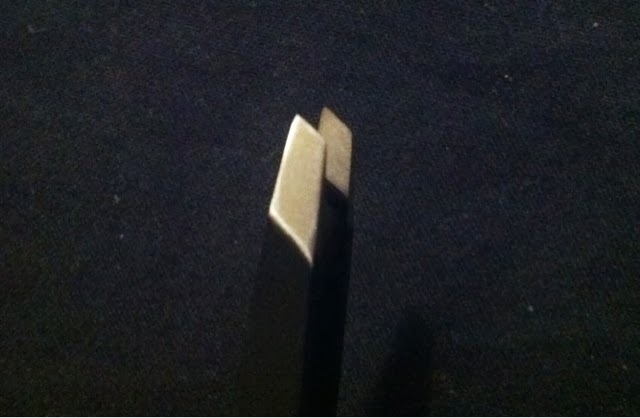 The tweezers are probably the most desirable out of the whole kit, sturdy stainless steel with a protective cap. 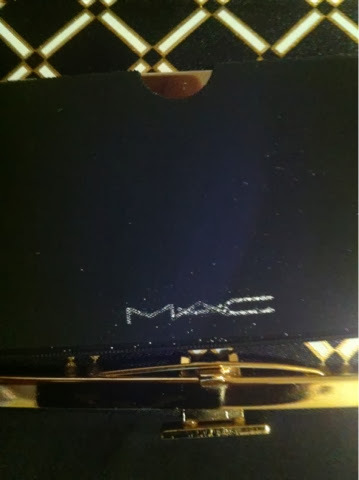 The tweezers are stamped with Switzerland as well as the MAC logo. The eyebrow comb. Where to start. Very cheap feeling plastic, the kind you'd expect to see in a Christmas cracker as a multi beauty tool. HOWEVER the actual comb it's self is very high quality, it's a pity it's enclosed in such cheap plastic. I would be furthermore disappointed if this was a standard line product but however it isn't, and you'd expect the Christmas gifts to be made a lot cheaper for the mass market. This aside, for the money and an introductory product for MACs non makeup line you could be disappointed if you're used to MACs high standard of products. 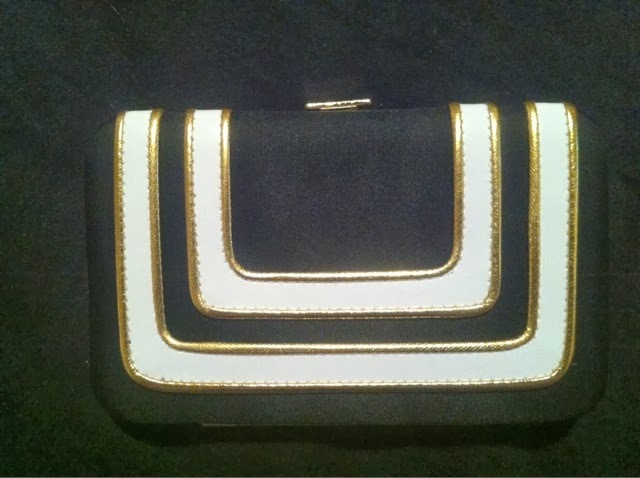 If you were interested in purchasing this as a gift, thing again, unless you want to open the box and remove the plastic wrappings and all of the made in china stickers, and possibly thinking of removing the sleeve off the mirror. Would I recommend as a christmas gift? No. Definitely not. If you purchase for yourself beware of how heavy handed you are with this stuff, sadly it does not seem sturdy at all. Pixi Beauty Makeup Remover Review!